Cheap holidays to Lanzarote - Like the rest of the Canary Islands, the island of Lanzarote was formed over 15 million years ago by a massive volcanic blast. And it’s a good thing that dramatic event once happened as now we have the beautiful beaches and mountains to enjoy for ourselves on holidays in Lanzarote! Being a volcanic island, the beaches on Lanzarote holidays are originally black and you’ll still find some in this condition. 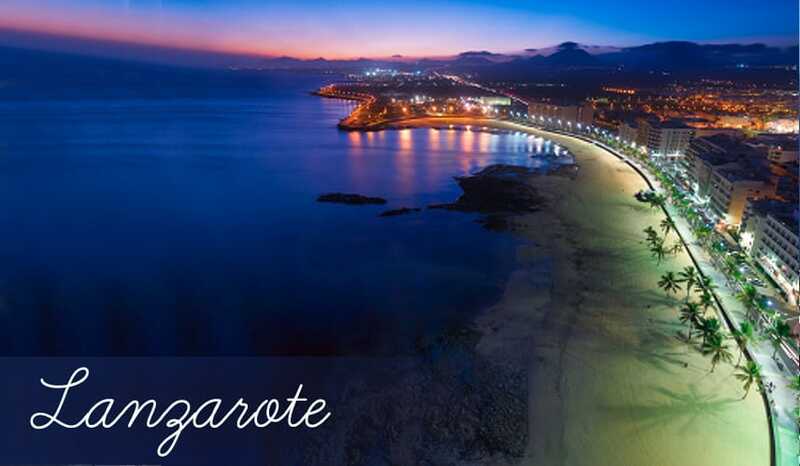 However, to brighten things up a bit, many of the major resorts which offer all inclusive holidays such as Puerto del Carmen and Matagorda have golden sand specially shipped in from the Sahara!